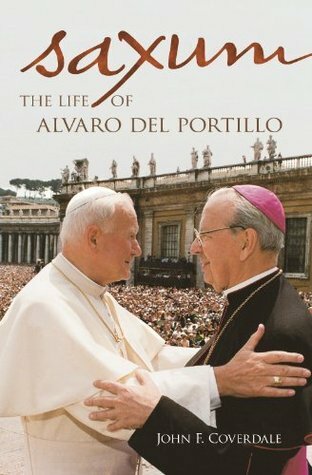 Over half of the book focuses on his life with Escriva, and then the final third on his life after Escriva passed away and he became the prelate of Opus Dei. But as you read this book you will realize that his work, his service was so much more than just that single focus. He was involved greatly with preparation for and contributing to documents from Vatican II. He had close relationships with pope, many bishops and cardinals. But he was also dedicated to the members of the work. Some of the stories in this book come from ordinary laymen who had personal encounters with Alvaro that had deep and lasting impact on their lives. And reading this book you will encounter the man in a similar personal way. His service will amaze you. His dedication and focus will inspire you. And his devotion to Our Lady will challenge you. But it was his personal touch that encouraged so many in their life and faith. "Don Alvaro's love for the Church and his theological appreciation for the role of bishops led him to pray for them and try to support them. A few months before the assassination of Bishop Oscar Romero of El Salvador, del Portillo wrote to him: "I assure you that I will pray for you daily at holy Mass, for you and for all the work of souls you carry out." When visiting cathedrals and shrines of Our Lady, he often sent postcards to friends in the hierarchy assuring them of his prayer and affection. Many recipients commented on how much good this simple token of friendship had done them." Sweet Mother, never go away. Keep watch over me both night and day. And never, ever leave me alone. His devotion to Our Lady is an inspiration to me and to my children. Saxum means rock in Latin, and Don Alvaro was a rock for everyone he encountered. And through this book he can continue to be a rock for us and our faith. This book does a wonderful job of providing us with a greater glimpse into the life of Don Alvaro. It is very well written and extensively researched. I believe that anyone who read this book will be challenged in their faith, but also will be greatly inspired and encouraged! Note: This book is part of a series of reviews: 2018 Catholic Reading Plan! For other reviews of books from the Scepter Publishing.